A wide variety of clinics are run by the practice. Appointments are made in the usual way via reception. Full maternity medical services are available including antenatal booking and ongoing antenatal care. This is provided by our community midwives. Health Visitors normally run a Baby Clinic at the surgery on the first Thursday of each month and can be contacted at other times on 0333 358 3328. To monitor the progress and improve the effectiveness of treatment at all ages. By appointment with the Healthcare Assistant at reception. All women between the ages of 25 and 65 and all sexually active women of any age are advised to have regular smears. By detecting pre-cancerous changes on the cervix, a smear will allow a woman to be treated before cancer develops. A smear involves only minimal discomfort. The vast majority are normal and for those that are not the treatment is straightforward. You can make an appointment for a smear with the practice nurse. Please discuss with your doctor who will refer you to this clinic if appropriate. To monitor the treatment and progress of diabetes. Advice is available from all of the doctors in normal surgery hours, including emergency contraception. 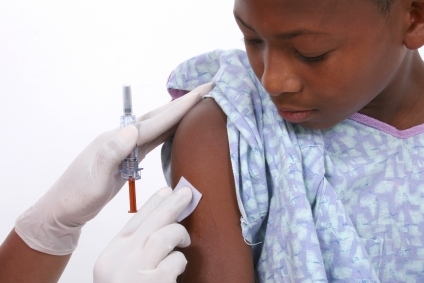 Although appointments are arranged there is open access to accommodate any child who has missed a vaccination. Book an appointment with the practice nurse. At six weeks old, babies are offered a development check. A minor op service where small lumps and bumps can be removed under local anaesthetic. Verrucas, warts and small skin tags can be treated in the surgery with liquid nitrogen. Make an ordinary appointment with Dr Wright, Dr Milligan, Dr Hudson or Dr Tsang. The Lifestyle Advisor help you to review your health and lifestyle and can create a personal health action plan, give information on local services and ....... keep you MOTIVATED!! If you would like to speak to someone and take the first step towards a healthier life, telephone 01952 382582 or ask at reception for details. All support from the Healthy Lifestyle Team is completely FREE and confidential. This is available in October. We recommend an influenza vaccination for the over 65s and patients with chronic illnesses, such as bronchitis, diabetes, asthma or heart failure. Please ask at reception. We are happy to carry out medicals for insurance or work purposes. Appointments can be made at reception but it is important that you make the receptionist aware the appointment is for a private medical. Please note that all private medicals and reports will entail a fee. Immunisations and advice are available by appointment with one of our 'travel' nurses. Please note that only NHS vaccines are available therefore you will need to contact a local travel provider for private vaccinations. An Alcohol Health Worker from Aquarius Alcohol and Addiction Services is available to offer information, support and advice on low risk drinking. We are all at risk of developing heart disease, stroke, diabetes, or kidney disease, but these diseases are preventable. An NHS Health Check will assess your personal risk of developing one of these conditions, and give you advice and support to reduce your risk. If you are aged 40 to 74 and you do not suffer from any of these conditions you will be invited by your G.P Practice to attend for an NHS Health Check. If you do not want to wait for an invitation you can contact reception and they will be able to arrange your appointment as long as you are eligible for the check. We have direct access to a Physiotherapist where you can book an appointment direct without having to be referred by a GP. Currently these clinics are held every Monday morning and all day Thursdays. Our telephone lines are busy, especially during the morning, so please telephone after 10am for test results. Please note that there are some results that your GP may prefer to discuss with you in person. If this is the case you will be told to book a routine appointment or contacted to make an appointment; please do not insist on having a call back or speaking to another doctor. The Sexual Health service provides a range of sexual health services to people of all ages in Telford & Wrekin. There is no need for an appointment as the clinics operate on a ‘walk-in’ basis. The aim is to raise awareness and prevention of unplanned pregnancies and sexually transmitted infections. They provide advice and access to contraception methods and treatments as well as treatment for STI’s. All consultations and treatments are free and confidential, even if you are under 16. All patients will be recalled to attend for their annual review within the month of their Date of Birth. So, if you were born in November for example, you will be recalled to attend your annual review within November each year. Prior to your annual review appointment, you will be sent a letter with a blood form enclosed (if required). You will need to have your blood test done BEFORE YOUR ANNUAL REVIEW by attending PRH or, booking onto one of the visiting phlebotomy clinics which are scheduled every Friday morning. 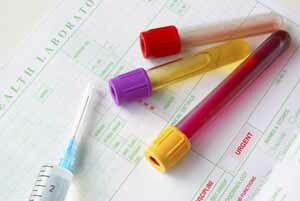 ‘Monitoring Blood Tests’ are carried out at the practice by the HCA. If you are taking any of the medication listed below, ask the HCA to do your ‘recall bloods’ at the same time as your monitoring bloods.